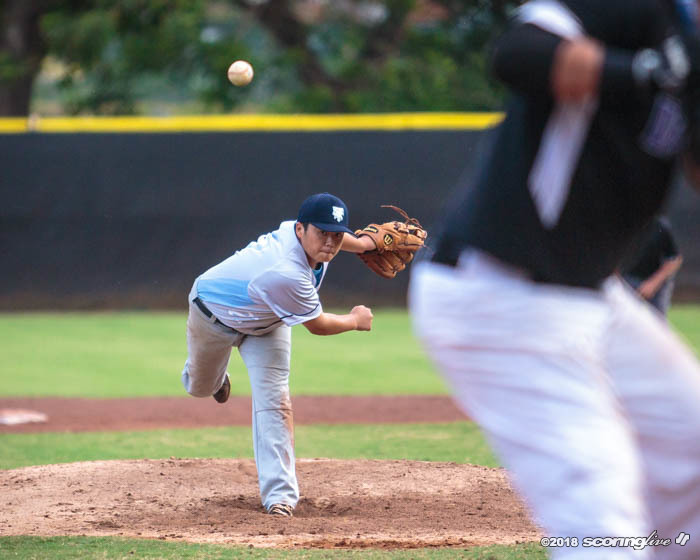 WAIPAHU — In the game of poker, the river card is the final card dealt in a poker hand. 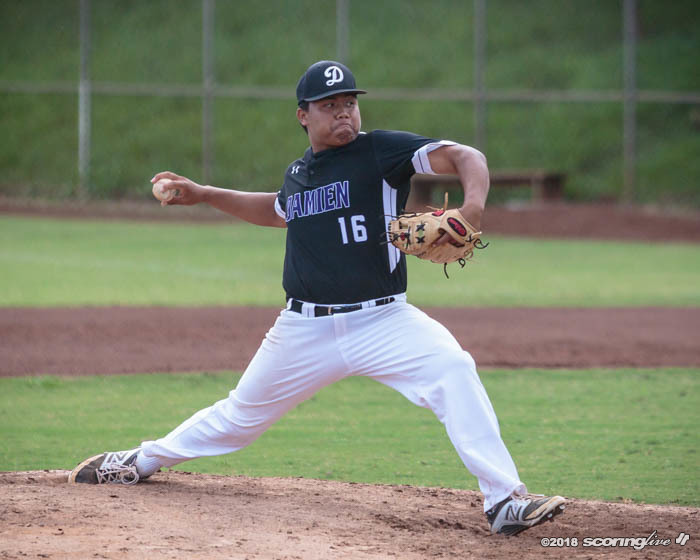 In the baseball game that was held at Hans L'Orange Park Thursday afternoon, it was Damien's River Iaea that recorded the final out to help the Monarchs extend their season. 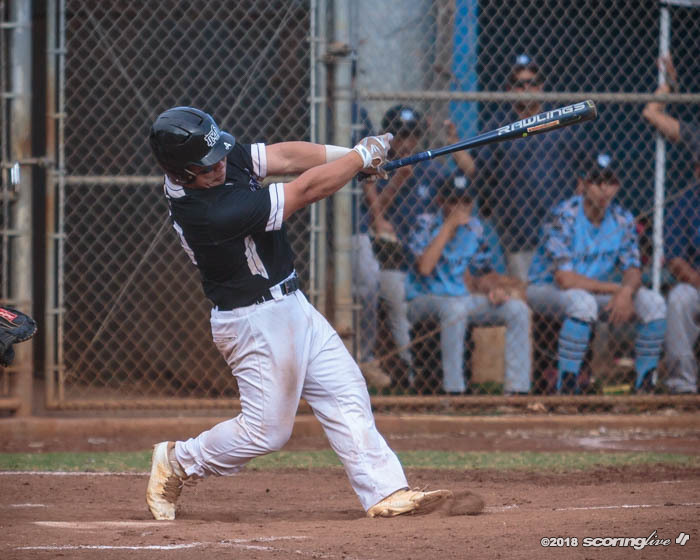 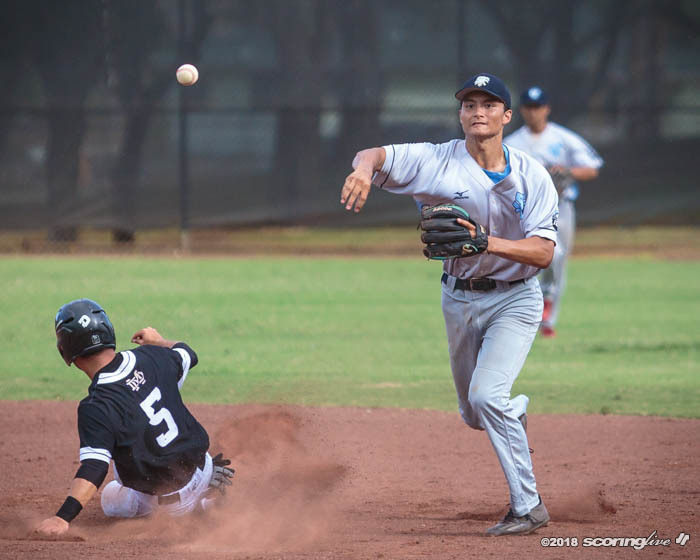 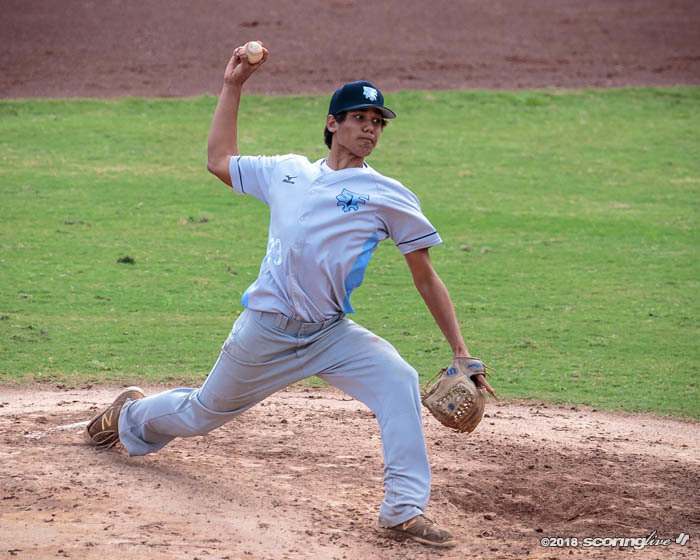 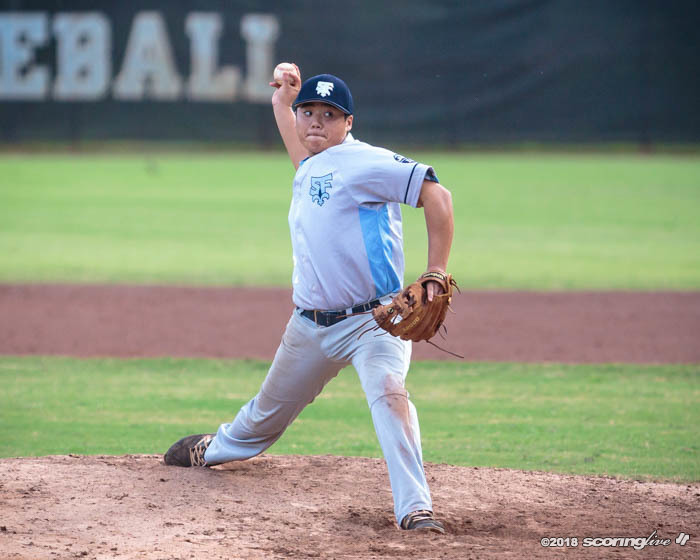 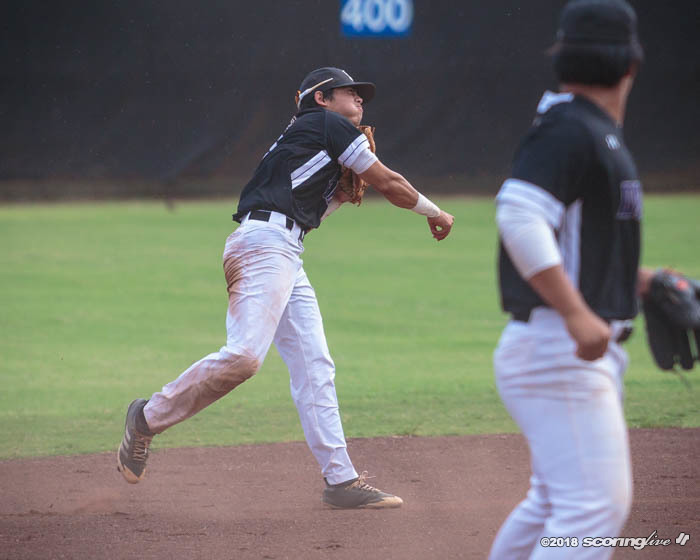 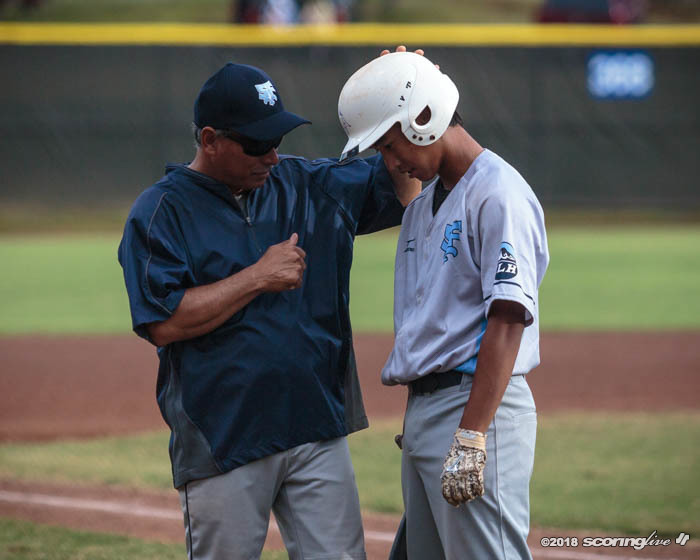 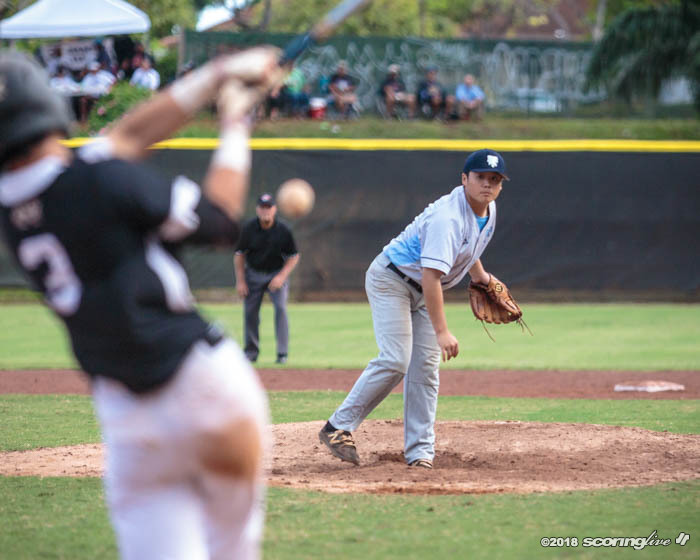 The freshman third baseman caught a line drive inside of the left foul line to rob Saint Francis' Bubba Akana of a potential walk-off hit with the bases loaded as the Monarchs held off the Saints, 4-3, in a critical Interscholastic League of Honolulu Division II contest. 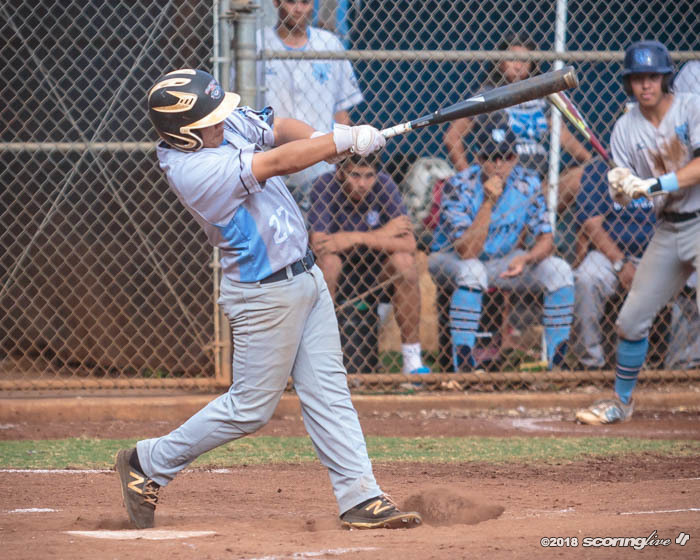 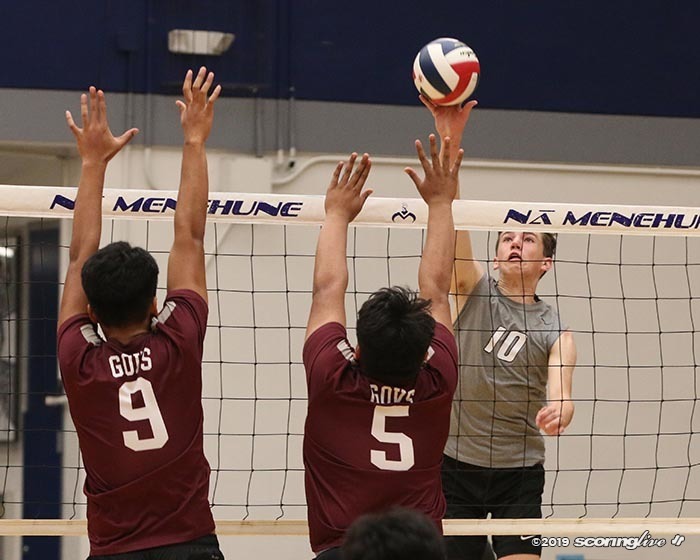 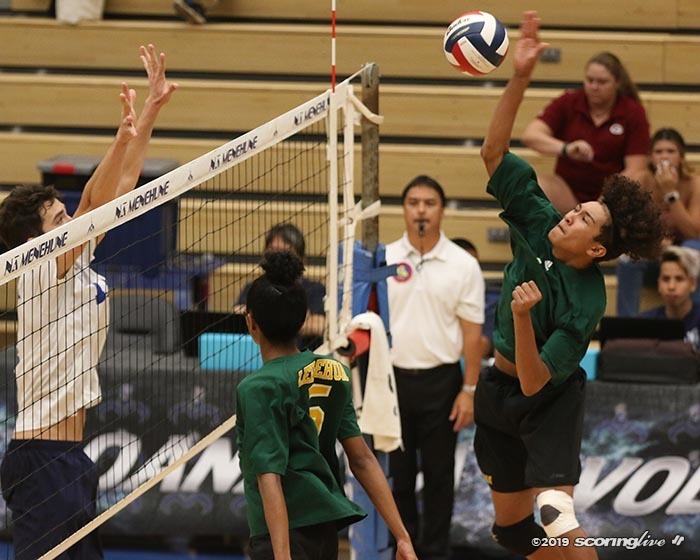 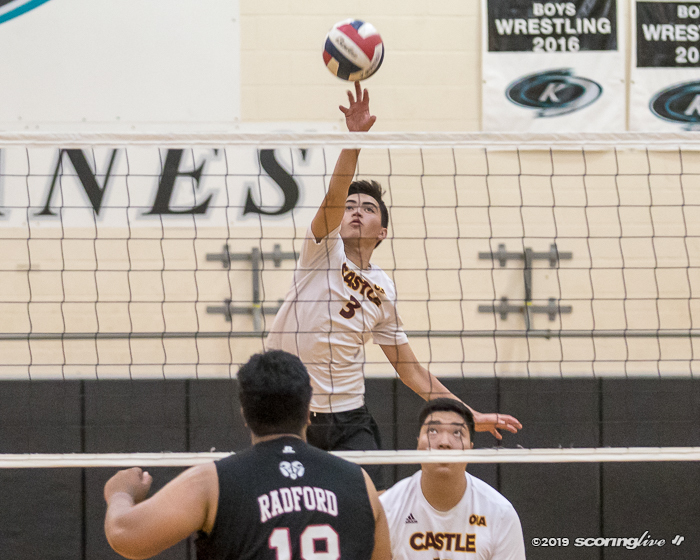 If Saint Francis (9-9) — the league's first round champ — had pulled off the victory, it would have locked up the ILH D2 title and the league's lone state berth. 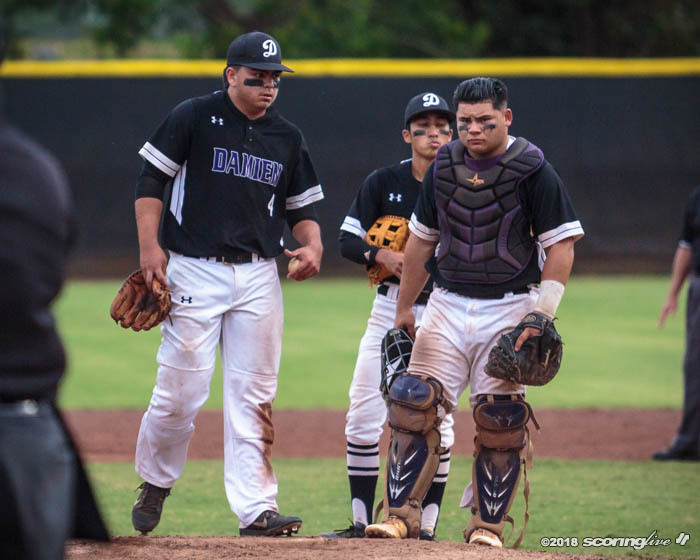 Instead, the Damien victory forces a winner-take-all playoff between two teams on Saturday afternoon at the same venue. 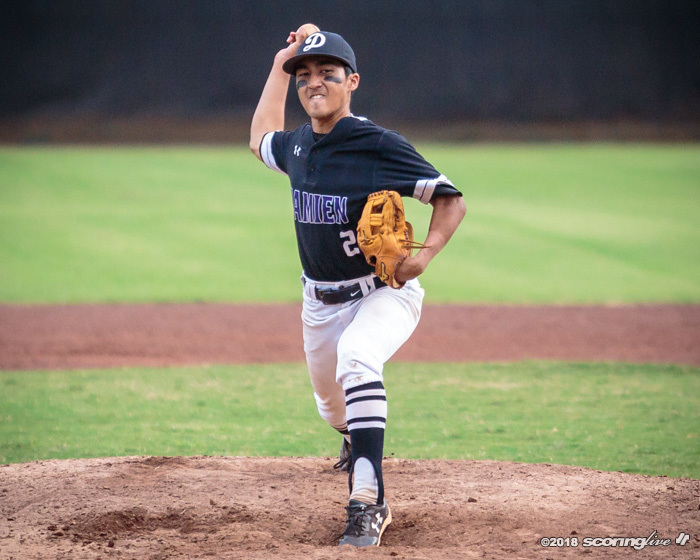 First pitch is slated for 2 p.m.
Other than in the bottom of the seventh inning, the Monarchs (11-7) were in control for most of the afternoon. 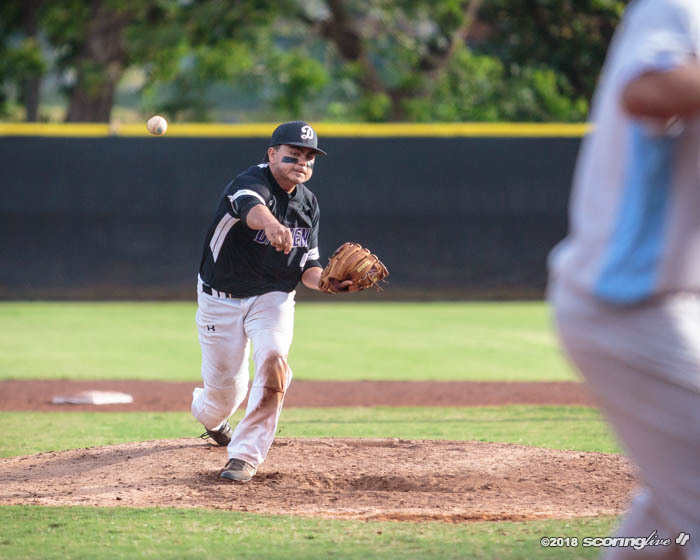 Behind junior pitcher Bryce Uyeno, Damien allowed just two batters to reach base through six innings. 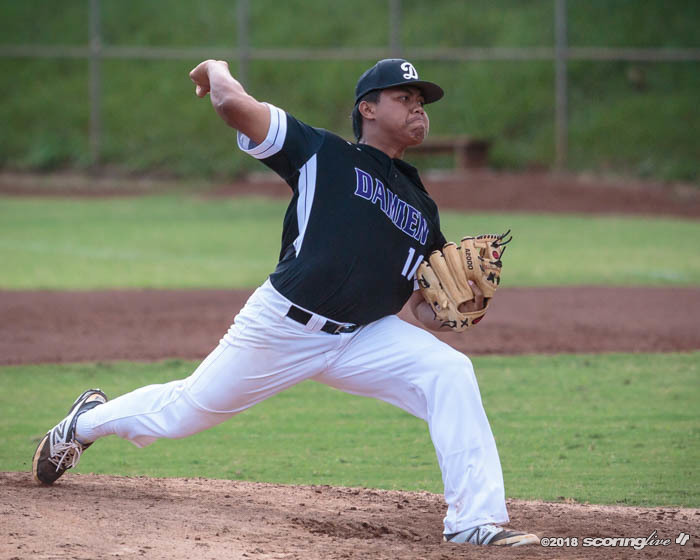 Uyeno, who fired a one-hitter with eight strikeouts in an 11-0 six-inning win over Saint Francis last Saturday, faced 19 batters — one over the minimum — and gave up just one hit and one walk with his pitch count at 67 heading into the final half-inning of play. 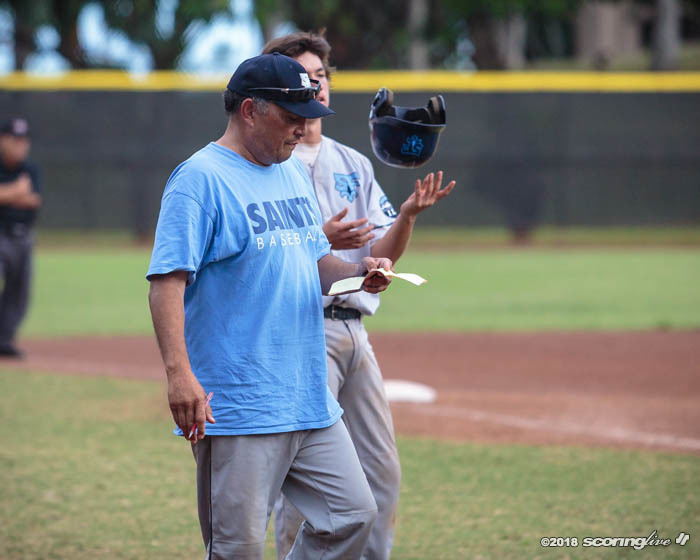 That's when Saint Francis started to rally. 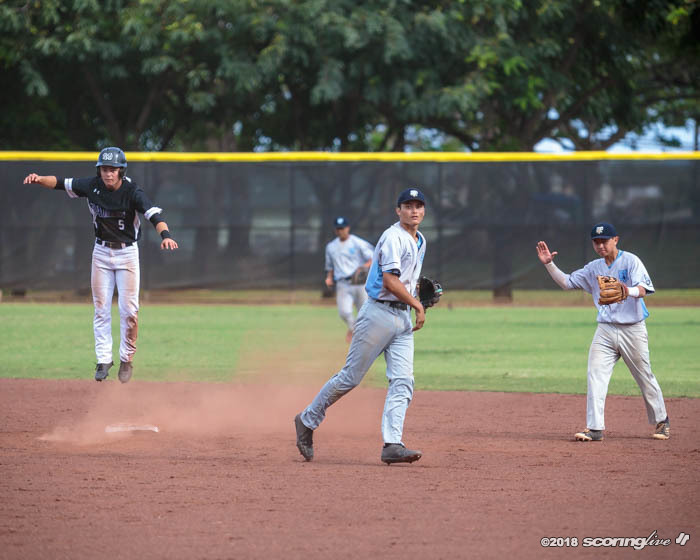 Makana Poole led off the frame with a walk, James Yamasaki followed with a double and Zach Alcos drew another walk to load the bases with no outs. 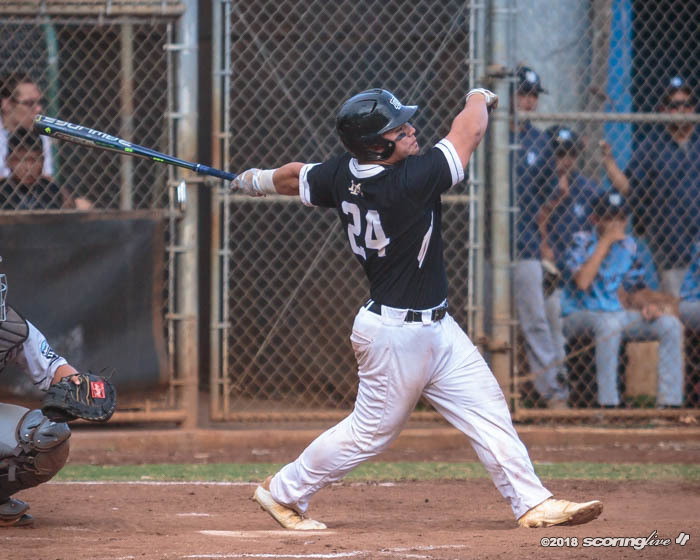 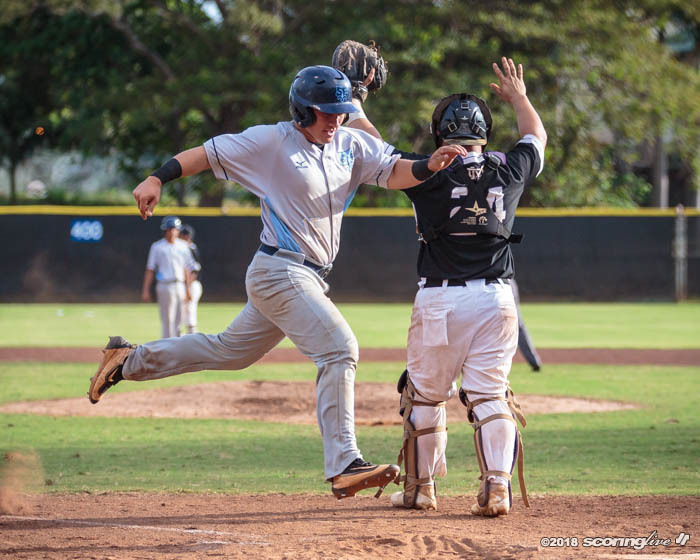 The Monarchs pulled Uyeno in favor of Kaimana Cameron immediately, but the Saints got three straight RBIs — two of which came on sac flys — and drew two consecutive walks to load the bases once again. 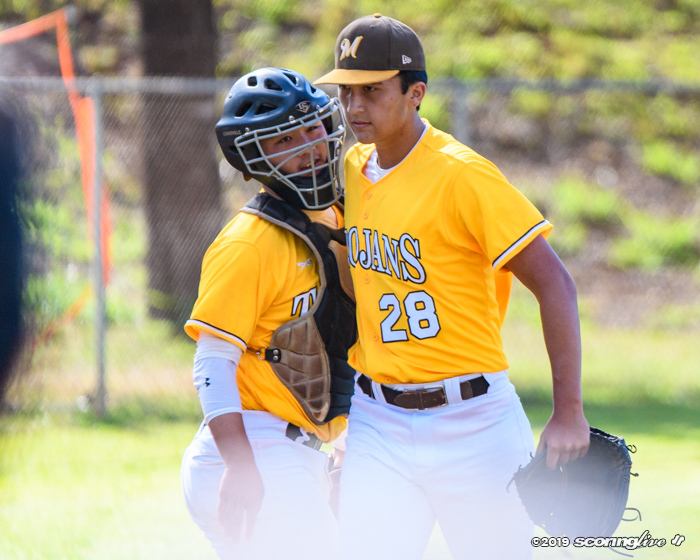 Kaysen Kajiwara then came in to relieve Cameron before Iaea robbed University of Hawaii-commit Akana of a base hit that could have tied or ended the game. 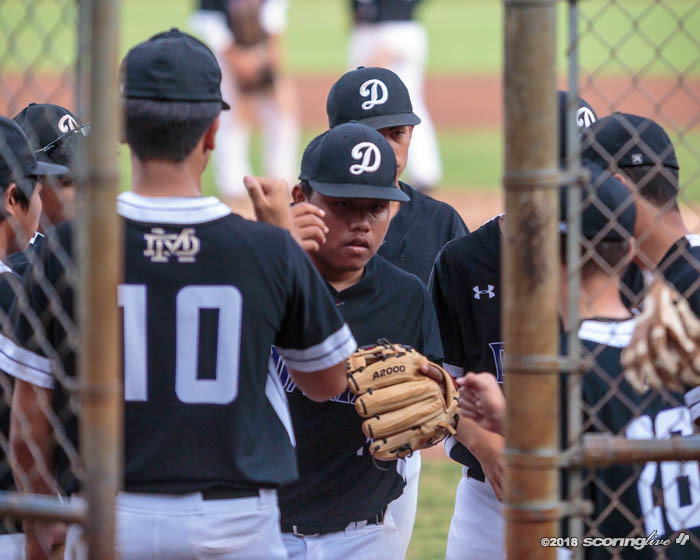 Damien took an early 1-0 lead in the top of the third thanks to Paul Mezurashi reaching base after getting beaned with one out. 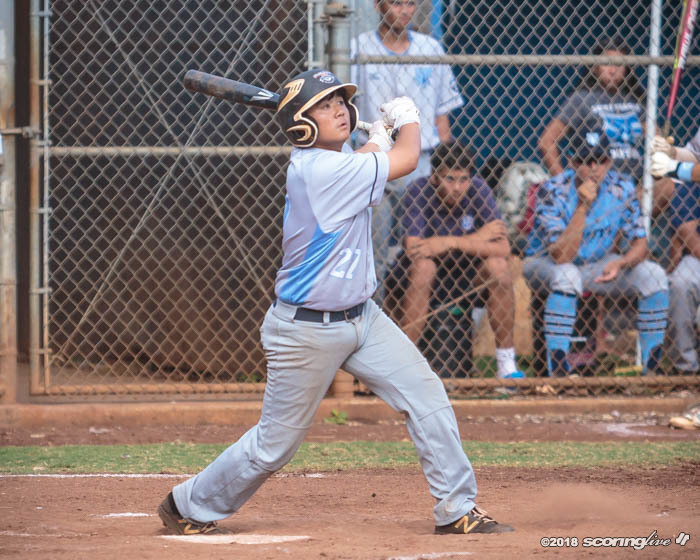 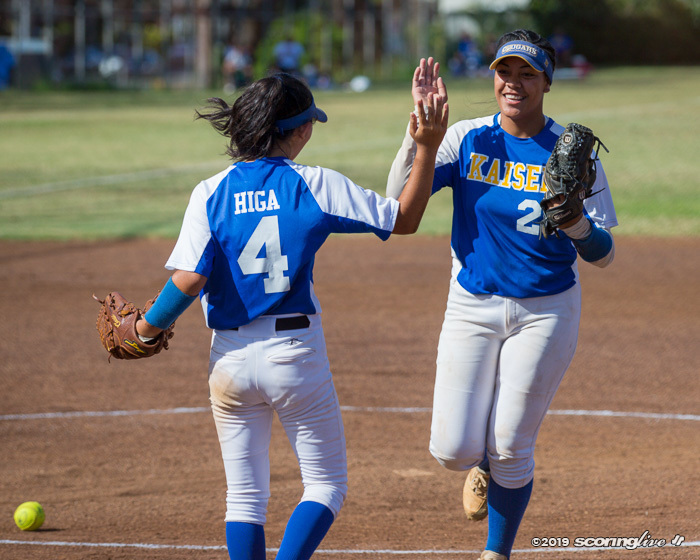 A dropped fly ball allowed Akila Arecchi to reach on an error and Shiloh Kaeo's sac bunt RBI was able to bring home Mezurashi for the first score of the game. 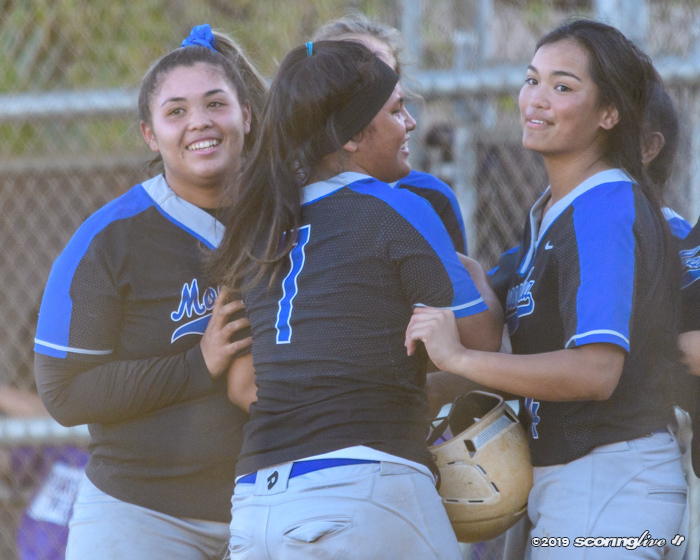 The Monarchs added three more runs in the next inning as they built enough of a cushion to hold off the Saints. 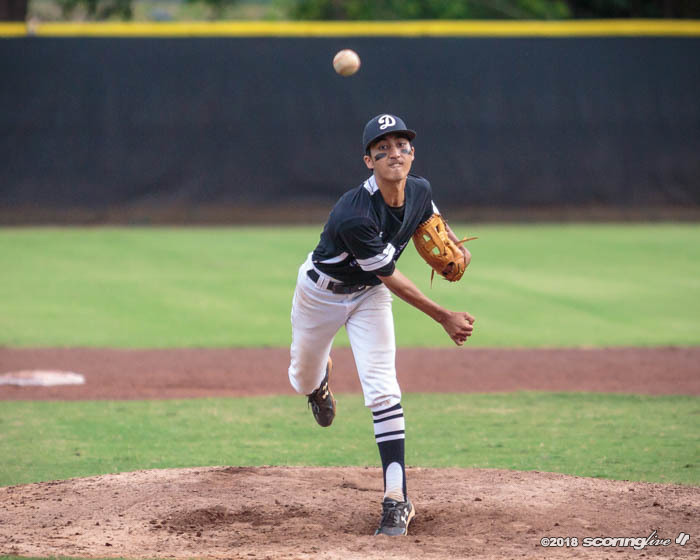 Kainoa Holt was the game's losing pitcher. 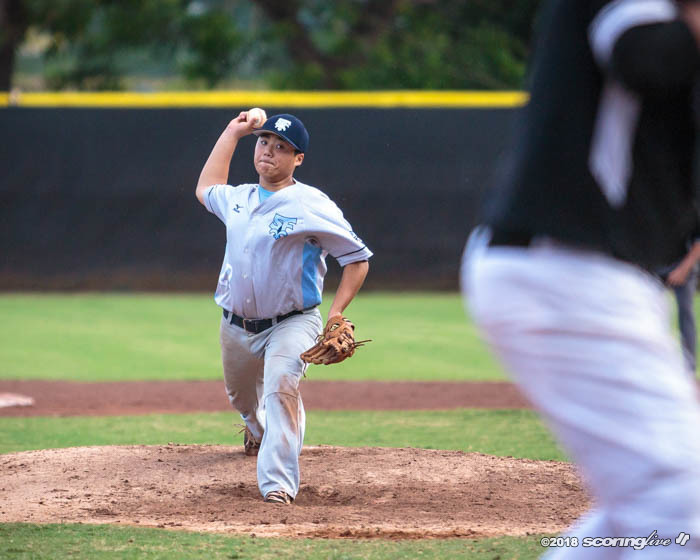 Yamasaki replaced him after the third inning, but lasted just 1/3 of inning before getting pulled for Darian Kamibayashi, who pitched no-hit ball for the remainder of the contest.